Over 30 members submitted their artwork for the critique, positively and constructively carried out by an old friend of the Society, Sian. 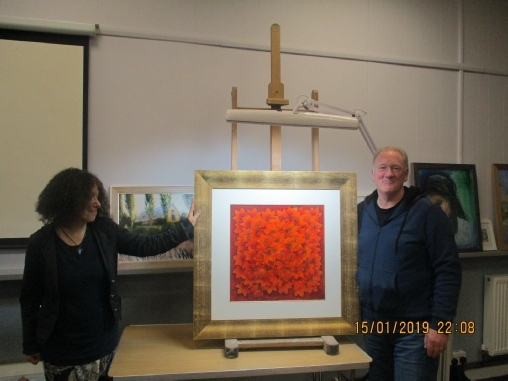 Each painting was viewed and reviewed, with knowledgeable advice given. Every member always gains from the critiques, for their own and others work, and we thank Sian for imparting her expert and kind, constructive critiques. It was a difficult choice, she said, but chose her top 2! 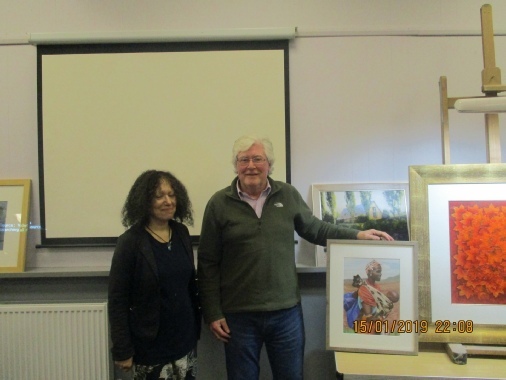 Kevin Strong's glorious leaf collage was her first choice and Roger Bennett's fabulous African lady was the runner-up. Well done and well deserved!